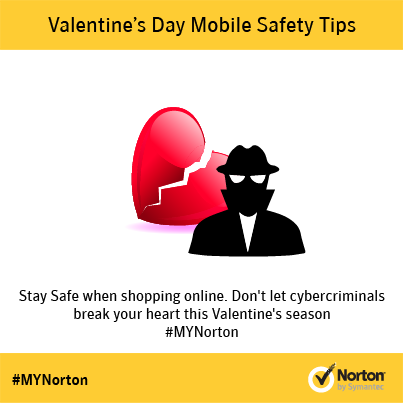 You love your partner, but how would you protect your Valentine from bad guys including cyber-crime?? As Valentine’s Day draws closer, a surge of spam is commonly observed – unbelievable discounts on jewellery, dinners, and expensive gifts are the key themes for the Valentine’s Day related spam. Other popular fake promotions include: online pharmaceuticals, fake e-cards, gift cards, chocolates, and flowers. 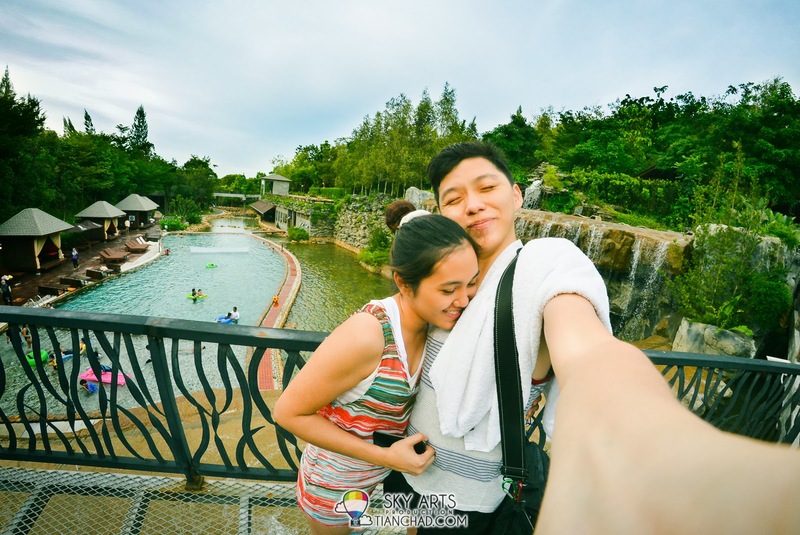 Even before going online, stop to consider the security risks. Everything is not as it seems on the Internet. Be street smart. Just as you would stop to look both ways before crossing a street, you should stop before clicking on unknown links. A link with a shortened (and thus hidden) URL that’s posted on a social networking site, for example, may take you to a malware-infested site. Stop before proceeding, and think safety first. 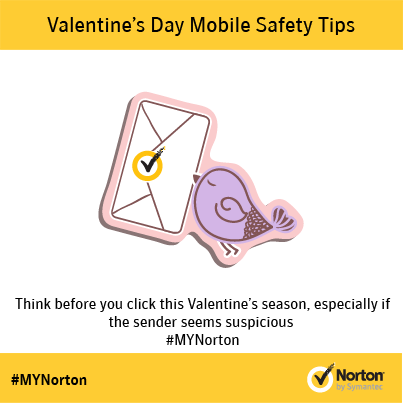 Always be cautious of any links or emails you receive from unknown recipients, or ones that just seem suspicious. Think before you click. Someone you just met online wants to know everything about you: your full name, your home address. Hmm … sounds fishy, doesn’t it? Requests from strangers should always send up a red flag, but what if you receive an email from a trusted friend? Sometimes the risk isn’t always obvious, but it may be if you stop to think. Ask questions. Getting back to our first point, stop. Ask if this message makes sense. You’ve known your friend for years. Why did he suddenly send you a nonsensical message asking you to check out some product? Use a comprehensive online security suite. You wear safety glasses when using power tools, so employ the same school of thought here. Be prepared. Make sure your browser and security software are up to date. Having the confidence to connect will be natural after you learn to take the time to stop and think about your online actions. Still, it doesn’t hurt to take some extra precautions. Before you connect to public Wi-Fi at a coffee shop or the airport, be aware that shared, unsecure connections can make it easier for unscrupulous types to eavesdrop on your Internet session - without you being aware it’s happening. Play it safe before connecting. Wait until you’re on a private, secure connection to check accounts that require a login. This includes your social networking sites, email and banking account. While we wait for a single device that will be able to encompass all our smartphones, tablets and computers features into one, we will keep adding new devices into our digital lives. As the world increasingly becomes a ‘multi-device personality’, the cyber threats out there increases as well. The latest Norton 360 Multi-Device from Norton by Symantec protects us from evolving threats in our daily online lives. The latest version improves on the industry’s leading protection and performance, and is designed for compatibility with the new features of Windows 8.1. The Norton 360 Multi-Device comes in the form of a single license to protect up to FIVE different devices. According to the 2013 Symantec Internet Security Threat Report, Web attacks increased 30 percent in 2012, driven by the easy availability of malware toolkits and the high frequency of unpatched vulnerabilities on websites. We are exposed to cyber threats even when visiting a legitimate website, putting our devices and personal information at risk. Norton 360 Multi-Device actively protects your devices from online threats, without impacting speed and performance. 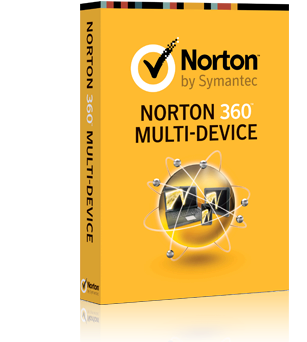 Multi-Device Protection – The Norton 360 Multi-Device software gives protection to all devices – PCs, Mac, iPhones, iPads, Android smartphones and tablets. SONAR Behavioural Protection – SONAR detects the signs that a file is dangerous to proactively protect you from never-before-seen threats. It helps with the removal and cleanup of malware attempts by saving the evidence of the attack for later use by Norton’s repair technologies. This remediation helps to ensure that all traces of a malware attack are removed and a system is returned to its original state. Internet Protection System – This feature actively protects your devices from online threats. The system scours websites and social networking sites for suspicious links and content to identify the latest social networking scams. 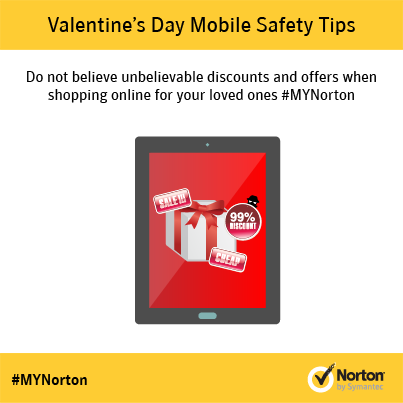 Parental Control – This feature helps you protect your kids from online dangers by giving you direct access to Norton Family. Norton Family is a web-based service that helps connect parents to their children’s online lives and start a dialogue about appropriate online habits. Locate missing phones/tablets – The Scream Alarm feature alerts you to the location of a misplaced mobile device, and the Remote Locate feature pinpoints your lost or stolen device on a map. Enhanced Norton Identity Safe – Norton Identity Safe remembers, secures and automatically enters your usernames and passwords for you, so they can't be lost or stolen. The latest release offers enhanced password management tool, including improved form filling, with drag-and-drop functionality and full vault searches available directly from the toolbar to help manage passwords even more securely and conveniently. In conjunction of this festive season, TianChad.com and Nortan Symantec Malaysia is giving out FIVE copies of the latest Norton 360 Multi-Device worth MYR 288.00 each!! Each copy of Norton 360 Multi Device provides one year of protection for up to five devices. In order to win yourself a copy of Norton 360 Multi-Device, all you need to do is share with me what's your tips on staying safe online! 1. This contest is for readers of TianChad.com residing in Malaysia only and there will be total FIVE copies of Norton 360 Multi-Device to be giveaway. 3. The closing date for this contest is by 12am on 16th February 2014.